If you are planning to get married in 2018, one of the first things to do is checking the new 2018 Wedding Trends in order to plan a memorable wedding day! 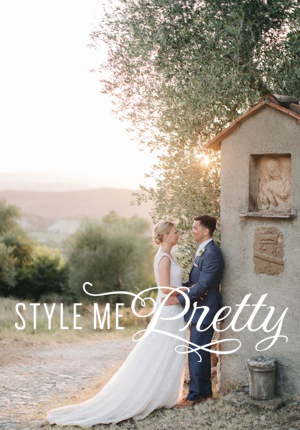 Vintage Tuscan styled shoot in Tuscany Hills! This shooting follows one of the trends of the year: vintage style! 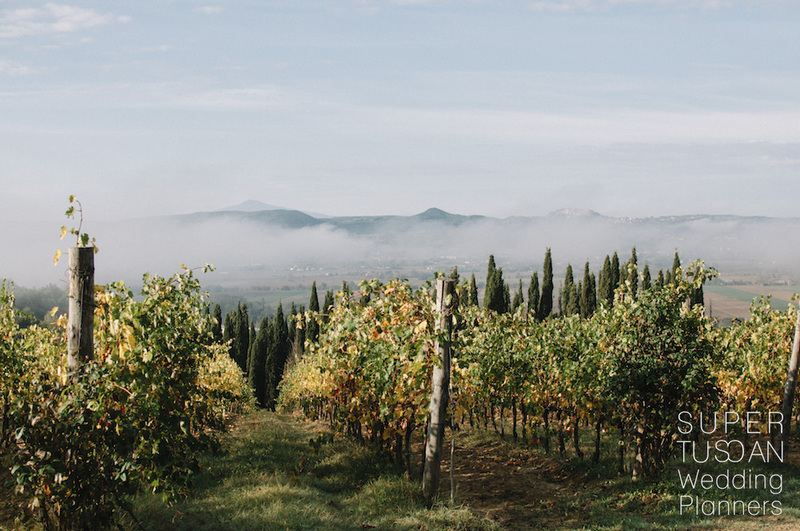 And what is it better than a Tuscan styled shoot to celebrate this day with the beautiful landscape of Tuscany’s hills? It has been done in a typical wine cellar with lots of wine bottles. The fall atmosphere with his warm colors creates a contrast with the grey and black dresses of the bridesmaids and the white dress of the bride. 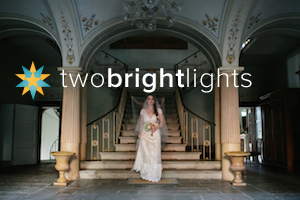 If you want an inspiration for your vintage wedding, this post will give you some trendy ideas! 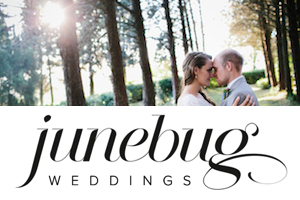 A dreadful post about Tuscan wedding prices! Tuscan wedding prices are really a delicate topic! 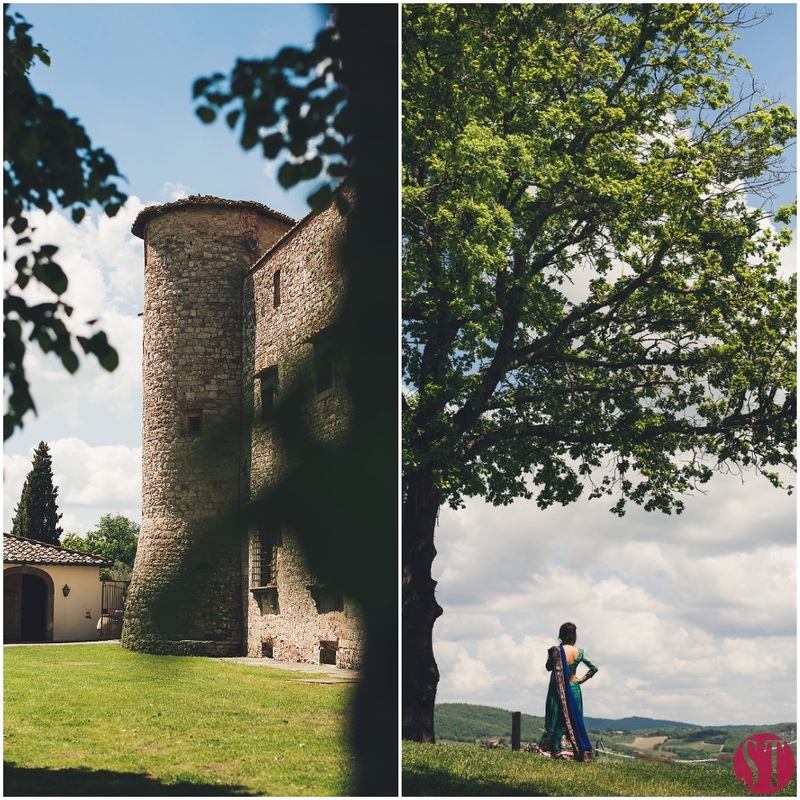 And for sure is one of the most important while deciding to have a wedding in Tuscany! In fact, we are asked this question each time and as you may imagine, there is no a unique answer! This because you all have different needs, number of guests, preferences in style. And we know for sure you want something special for your wedding! But I don’t really want to discourage you, not at all! 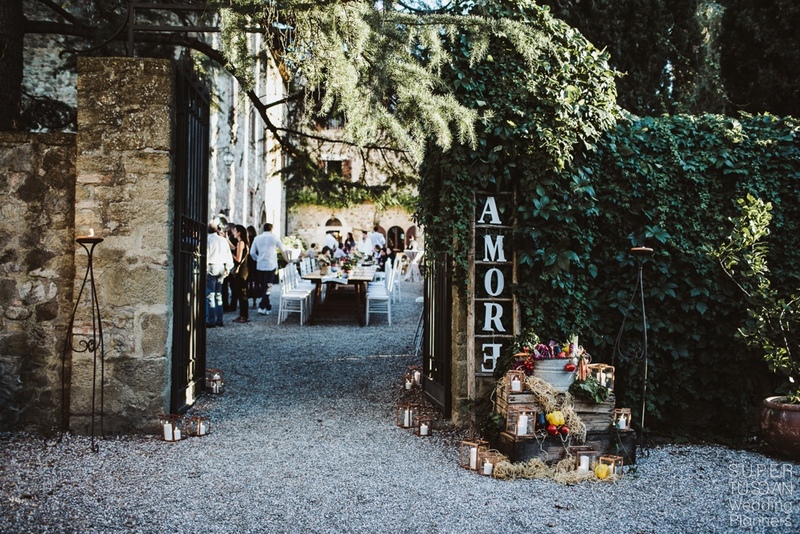 Tuscan weddings can be a real dream and we can make it real, together! 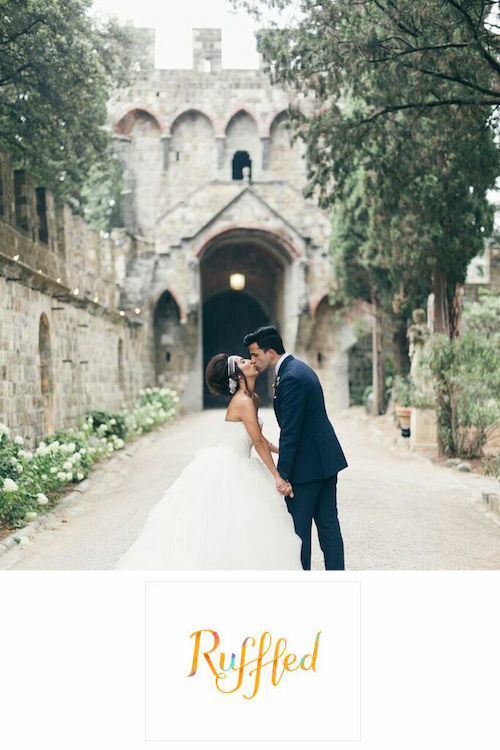 From Lebanon, living in Dubai, getting married in Val d’Orcia: Flo & Nassim’s love in a journey! 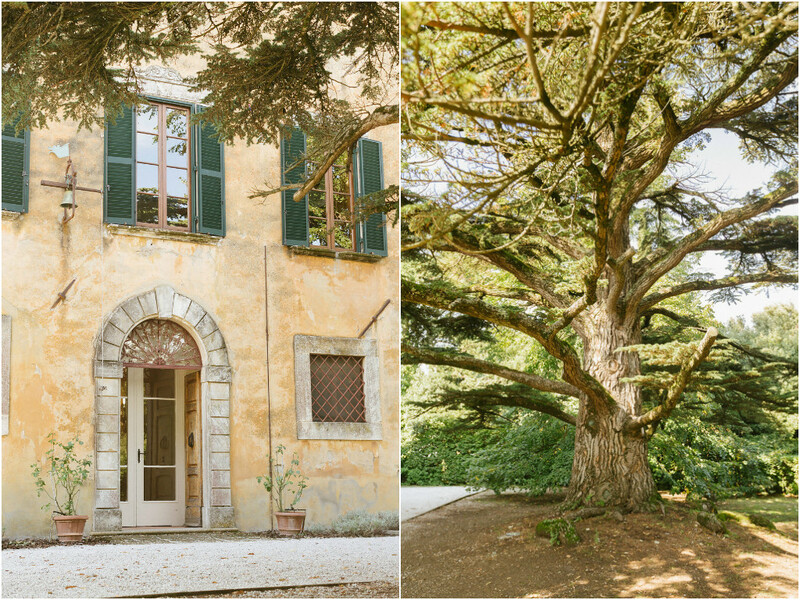 Lindsey & Miheer, an Indian wedding in Tuscany and not only..
Who said that an Indian wedding in Tuscany couldn’t reflect both the Indian traditions and that rustic Tuscan feel? 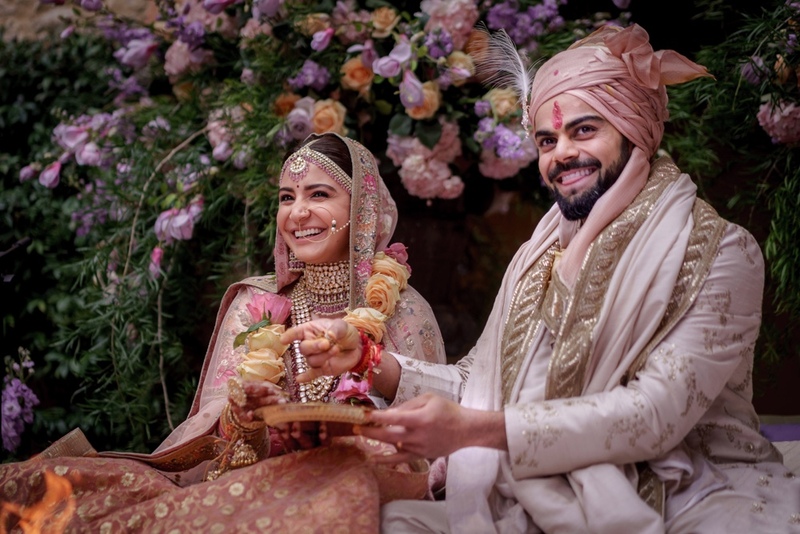 We always imagine Indian weddings as massive parties with lots of golden details mixed with tradition. Well, this is what has happened! And it all took place here in Tuscany, in a beautiful castle in Chianti area. So what do you think seeing in fornt of you a horse, a white cypress road, lots of people dancing in their colourful joyous typical Indian dresses! 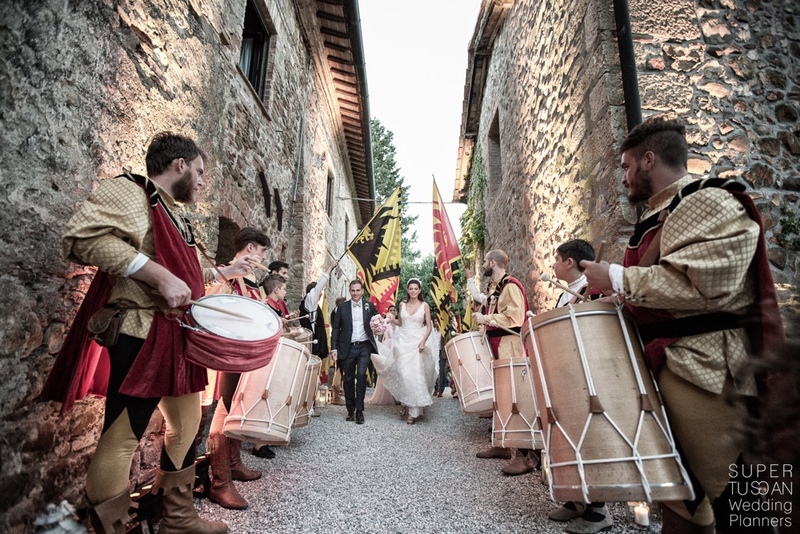 Well I see a perfect Indian wedding in Tuscany! For any idea you might have, ask your Italian wedding planners! Who else could advise you better than them? 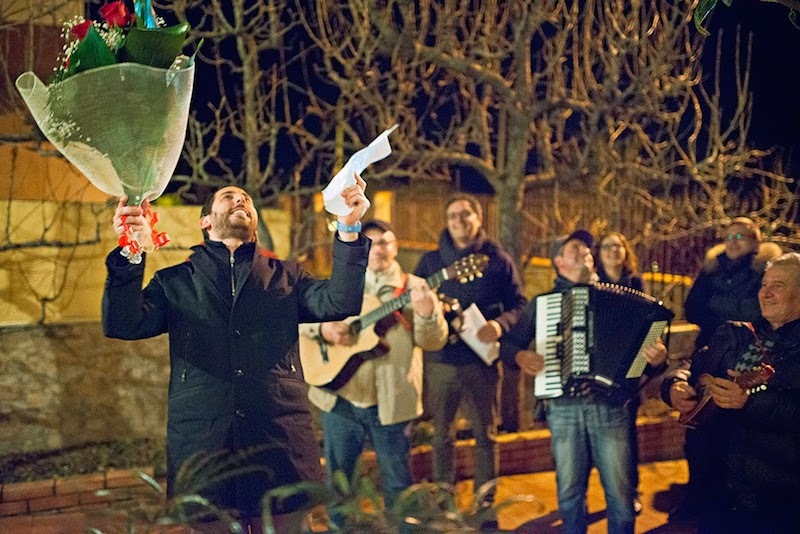 Collect our ideas and yours will be a real Italian style wedding, funny and enjoyable, most of all! 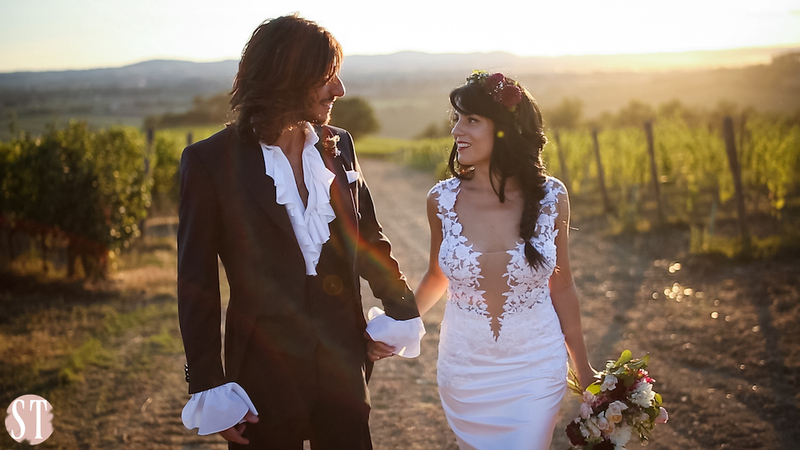 Elia & Arianna : One day we have decided to get married in Tuscany! Hi I’m Arianna, the bride … Yes, that is right! we have decided to get married in Tuscany, our homeland! 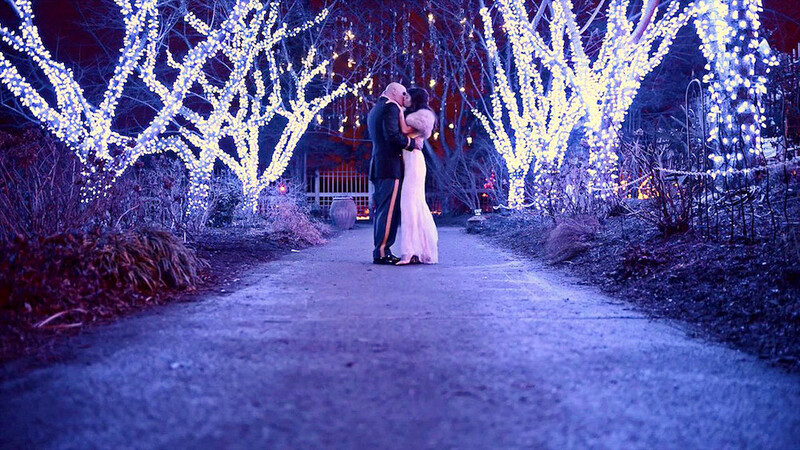 If you’re curious to see a real wedding planner’s wedding continue to read this post!